After entering the details click on submit. 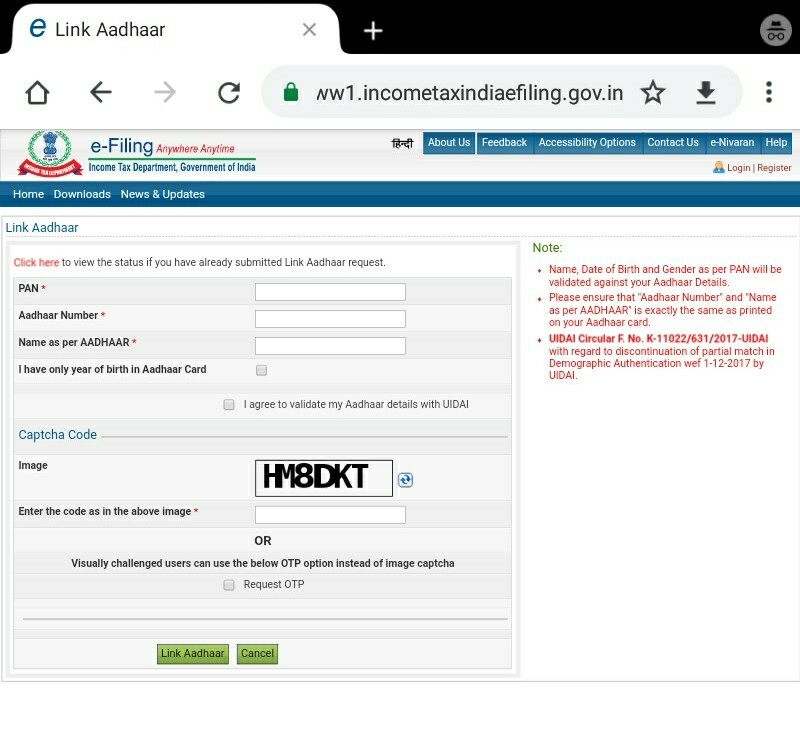 Post verification from UIDAI the linking will be confirmed. In case of any minor mismatch in Aadhaar name provided, Aadhaar OTP will be required. Please ensure that the date of birth and gender in PAN and Aadhaar are exactly same. 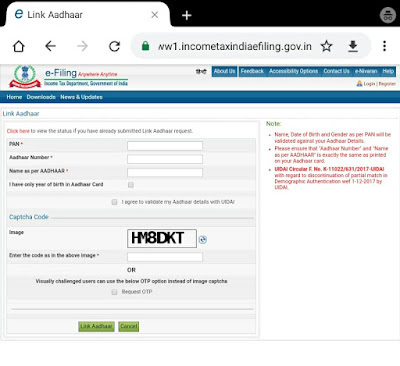 In a rare case where Aadhaar name is completely different from name in PAN, then the linking will fail and taxpayer will be prompted to change the name in either Aadhaar or in PAN database.